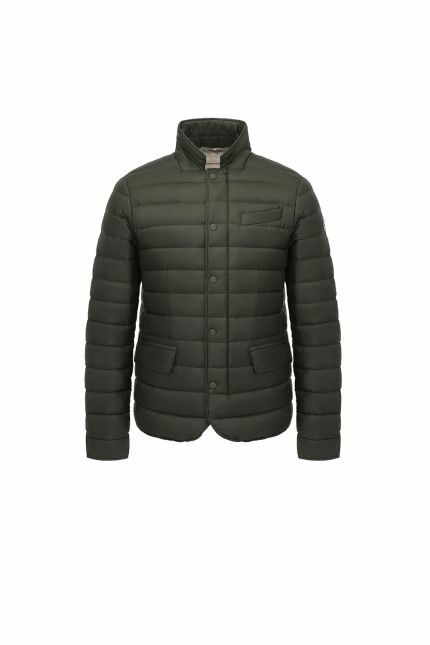 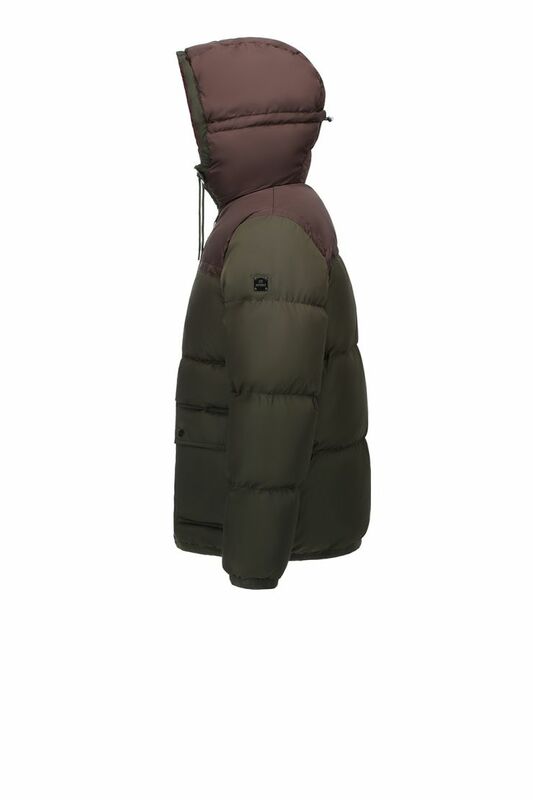 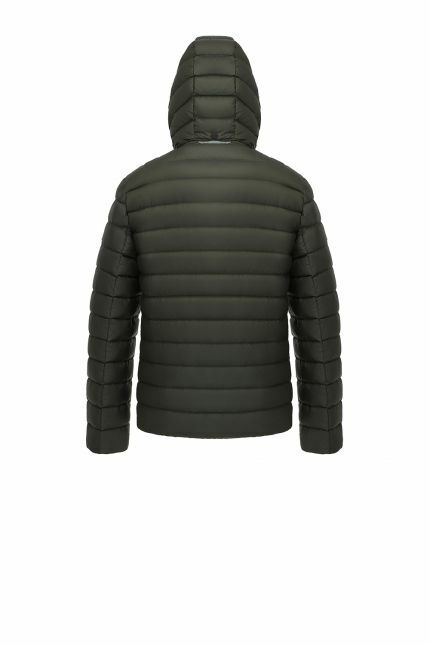 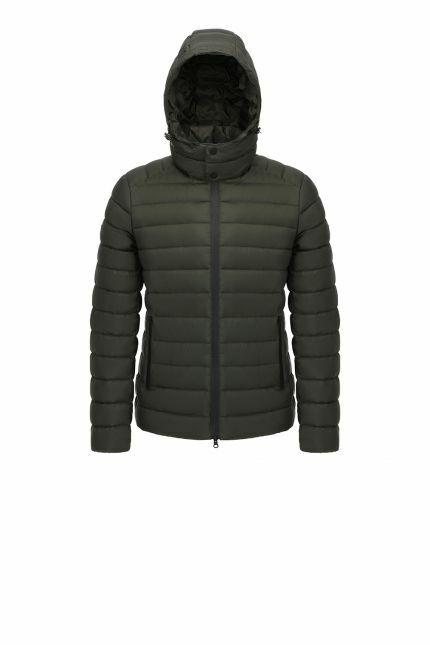 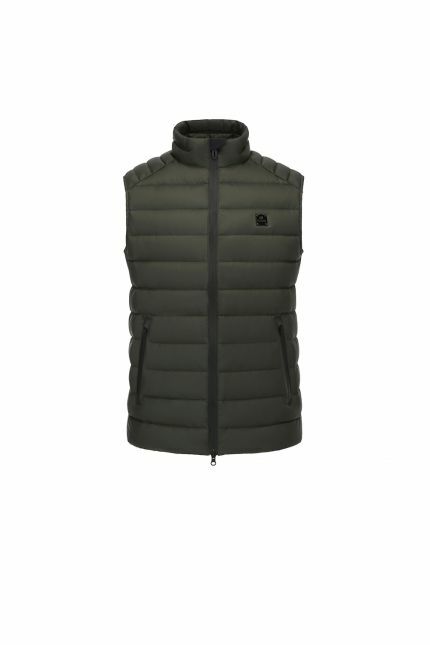 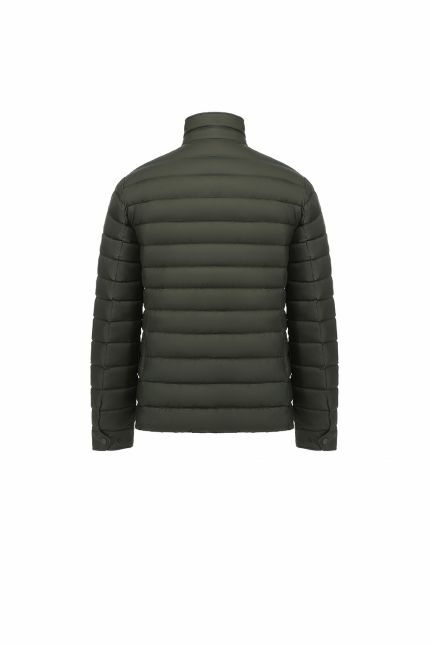 Hetregó Douglas green oversized down jacket mixes technical fabrics with quilting creating a metropolitan outerwear piece. 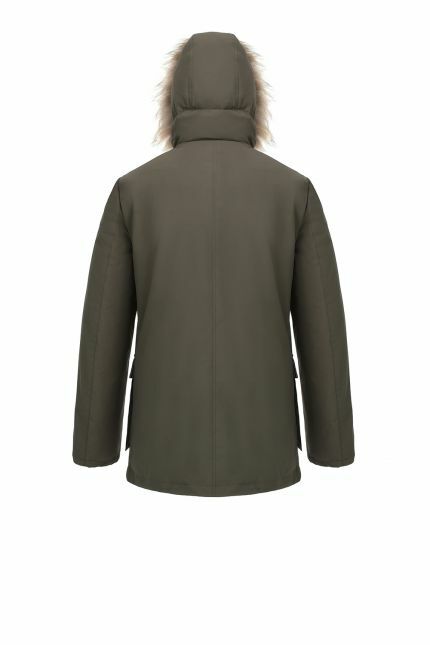 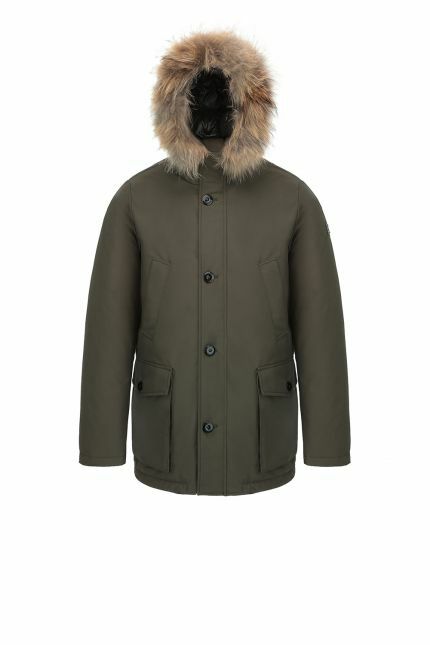 This 90’s style coat is padded in goose down and has a high collar to protect you from wind during cold days. 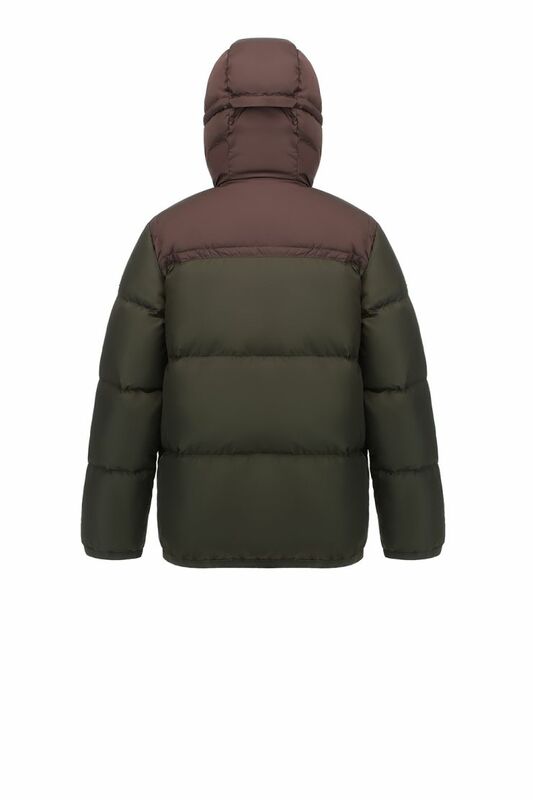 This style features a central two-way zipper, hidden by the placket with snap closure; two front pockets; an inner pocket; hood drawcord and fixed hood. Windproof and water repellent, this jacket is the result of the combination of contrasting quilting and details in burgundy and chestnut. 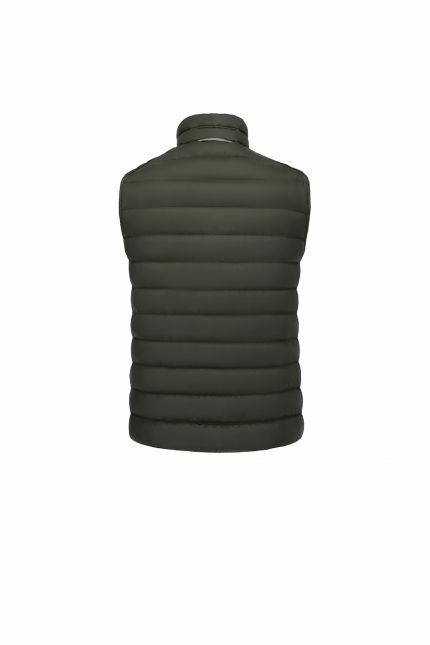 Douglas is ideal for winter, protecting the body without constricting it.